In the beginners section, there are already some powerful models which can be used for little money even in the professional field. This model is particularly interesting for real estate owners, hobby hunters, pet owners and hobbyists for occasional use. 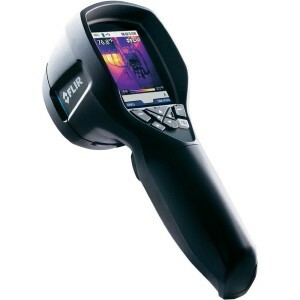 With the FLIR i3*, the manufacturer FLIR offers a favorable starter model in well-known top quality. Unfortunately, the model is not equipped with an additional digital camera and ist not equipped with image-combining techniques. The images can be stored in a JPEG format on a MiniSD card. 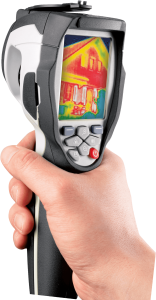 The thermal imaging camera is interesting for all those who want to rely on the brand quality of the market leader and want to investigate simple thermal issues. Both the sensor resolution and the temperature range are small for the Dostmann Electronic TC-1. Convenient is the included 8 GB micro SD card – unfortunately, the device is battery powered and can not be charged. 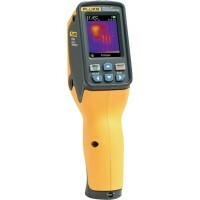 The price makes it interesting for applications that fall into the temperature range of the device and when a very low-cost solution is sought for occasional use. 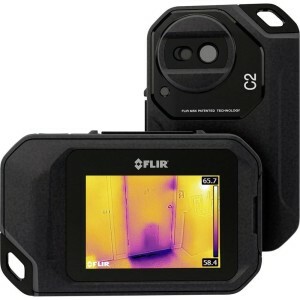 In the format of a digital camera, the FLIR C2* presents itself as a powerful entry-level device. The integrated digital camera for capturing the visible spectrum also allows image-combining ( “Thermal MSX”) and thus is ideal for a variety of applications. The compact form factor (eyelet for carrying strap available) makes it particularly interesting for mobile use. The average temperature range is compensated for by the high-quality processing of the brand producer FLIR and the high sensor resolution. The Chinese manufacturer CEM offers with the CEM DT-980* a very low-cost model with high performance. 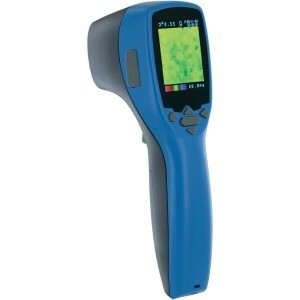 Remarkable is the large temperature range and the high sensor resolution. Although the model has an integrated digital camera which enables a picture-in-picture display, unfortunately no image-combining-view is available. Areas of application can be mechanical or technical investigations as well as building diagnostics. The device is for all those who can do without a branded product but need a very high performance at a low price.